How did the ICC trial of Laurent Gbagbo impact the elections in Côte d’Ivoire? Drawing on her recent research in the country, Sophie T. Rosenberg argues that the ICC may shape the political landscape for a long time to come. The ICC needs to take into account Ivorian political dynamics in the timing of its rulings – something the Court worryingly ignored during the recent presidential elections. In a landslide victory at the end of October, incumbent President Alassane Ouattara won a second term to lead Côte d’Ivoire until 2020. Just over half of registered voters cast their vote in a peaceful election that was deemed credible and transparent by several observation bodies. President Ouattara received 84% of the vote, while none of the other candidates broke the double-digit mark. Coming in second place, candidate Pascal Affi N’Guessan secured 9% of the vote. Yet, one of the most conspicuous features of the elections was the absence of Ouattara’s predecessor, former president Laurent Gbagbo, who is currently behind bars in The Hague and charged with crimes against humanity. As a former head of state, Gbagbo still plays a leading role in the collective political conscience of the country and maintains a significant following amongst Ivorians. During Gbagbo’s presidency, from 2000 until 2010, a rebellion allied to Ouattara controlled the northern half of the country for several years. For staunch supporters, Gbagbo’s detention at the ICC is a continuation of his unrelenting struggle against the pro-Ouattara opposition, which was supported by France and the international community following the contested 2010 elections. Others, however, hold Gbagbo largely responsible for the 2010-2011 post-electoral violence in which over 3,000 died, triggered by his refusal to cede power to the president-elect. So, how did Gbagbo’s imprisonment at the ICC impact the first presidential elections since the brutal crisis in Côte d’Ivoire? Gbagbo’s fate was a central political theme during the campaign. Although Gbagbo tried to ostensibly remove himself from the political scene, opposition candidates used his imprisonment as a rallying call during their campaigns. The promise to bring Gbagbo home became a cheap way to score political points and cast aspersions on Ouattara’s record in reconciling Ivorians. Even independent candidates, like Kouadio Konan Bertin, were heard stating, ‘As soon as I am elected, the next day, I will jump in a plane to free Gbagbo.’ The political traction gained from these candidates’ false promise shows both the unpopularity of the ICC among Gbagbo’s supporters and the fact that most citizens remain in the dark about due process at the institution. Disagreements over Gbagbo’s continued political role also contributed to a split in the main opposition party. The Front Populaire Ivoirien (FPI) – the party founded by Gbagbo that has historically served as a foil for Ouattara’s Rassemblement des Républicains (RDR) – fractured in part due to disagreements over how to move forward without Gbagbo at the helm. While both sides denounced a perceived pro-Ouattara bias in the electoral commission, they differed over whether to participate in the subsequent polls. The ‘moderate’ faction, led by Pascal Affi N’Guessan, chose to take part despite these perceived defects in the electoral infrastructure and obtained legal authorisation to use the FPI’s name. The ‘hardline’ faction, led by Aboudramane Sangaré, chose to boycott the elections, setting the ex-president’s release as one of several conditions for their participation. Viewing Affi N’Guessan’s participation in the election as a stark betrayal of Gbagbo, the hardliners loosely aligned themselves instead with a different political coalition, the Coalition Nationale pour le Changement. Finally, by failing to explicitly endorse Pascal Affi N’Guessan as FPI candidate, Laurent Gbagbo implicitly encouraged his supporters to boycott the election. A few days before the vote, Gbagbo issued a statement from detention, through his spokesperson, requesting candidates to cease invoking his name in their campaigns and claiming that he was fully focused on his upcoming trial. Gbagbo could have instructed loyal voters to either vote for Pascal Affi N’Guessan, who had served as his Prime Minister, or to boycott the elections. The former would have been unlikely due to deep discord between Gbagbo and Affi N’Guessan, despite Affi N’Guessan portraying Gbagbo as his political mentor. 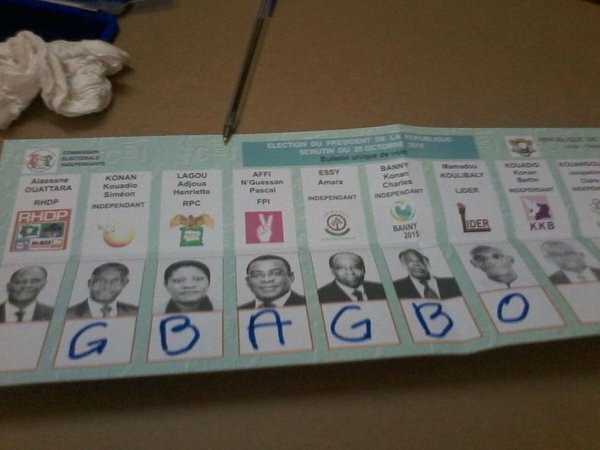 Many interpreted Gbagbo’s purported agnosticism as an indirect instruction to abstain from voting. Gbagbo loyalists seemed to heed that call, as only 9% voted for the FPI’s candidate, Affi N’Guessan. Without the party founder’s clear support, it was an uphill battle for Affi N’Guessan to overcome the perception that he was betraying Gbagbo by running under his party’s banner. The elections were entirely peaceful, despite anxiety around the spectre of the 2010-2011 post-electoral crisis. But the political myopia demonstrated by the ICC judges in the poor timing of several key ICC decisions could have easily inflamed tensions. Gbagbo’s lawyers had requested that the trial be held either in Abidjan or in Arusha, arguing that this would aid reconciliation in the country. Focusing instead on the significant security and logistical challenges, the judges denied the request. 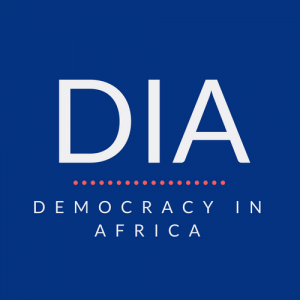 The decision reflects a sound assessment of Côte d’Ivoire’s current political dynamics. Even some of Gbagbo supporters reluctantly suggested to me that, for the country’s stability, Gbagbo’s trial should be held outside of Côte d’Ivoire. Dr. Marie Boka, Assistant Professor of Political Science at Félix Houphouët-Boigny University, put it succinctly: ‘If his trial were held in Abidjan, the tribunal would be overrun with supporters.’ Problematically, however, the ICC issued this controversial decision on arguably the tensest day of the year: 26th October, the day after voters cast their ballots and the day before the results were announced. To make matters worse, the ICC judges initially scheduled the opening hearing for Gbagbo and Blé Goudé’s trial on 10 November, squarely between the first and the possible second round of the elections. Had Ouattara not won a clear majority in the first round, the run-up to the run-off round would have coincided with the beginning of the trial of the opposition’s galvanizing leader. Fortunately, Ouattara won the election in the first round, so this poor judgment did not become an issue. After the elections, on 28th October 2015, judges postponed the opening hearings until 28 January 2016, granting the Defence’s request for a review of Gbagbo’s medical fitness to attend his trial. These near misses point to the fact that the ICC should not underestimate its impact on the political landscape and the judicial proceedings in this historically-divided country. Prosecutor Bensouda’s promise that her office will investigate all sides of the conflict and national justice proceedings initiated against high-level pro-Ouattara commanders suggest justice may be seen as fairer going forward. Swaying between scepticism and cautious hope, many Ivorians on both sides are hoping for a more equitable justice that looks beyond the 2010-2011 post-electoral crisis to crimes committed during the 2002-2010 civil war. Ultimately, Gbagbo’s fate at the ICC is unknown. But, following the election, one thing is certain. Côte d’Ivoire still has a long way to go towards reconciliation.